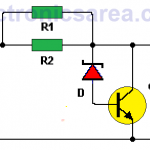 This 12 to 5 volt converter circuit for cars is very useful. It can be used to connect 5-volt electronic devices in a car with a 12v battery. (Automotive lead-acid batteries may have a voltage of up to 13.5 volts). 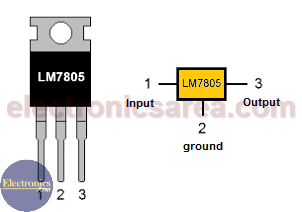 If an integrated 5-volt voltage regulator such as the LM7805 is used, the maximum current it can deliver is 1 amp. This amount of current may be insufficient for some devices that we want to connect. It may also be insufficient if we connect 2 or more devices simultaneously. 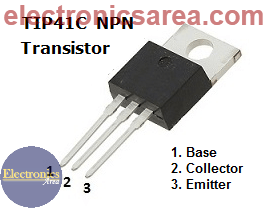 To solve the problem, we will use a transistor, to increase the current in the output. How does the 12 to 5 volt converter circuit work? 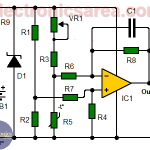 This circuit can deliver a enough current using the 5 volt voltage regulator and a transistor (Q1), as shown in the diagram. The capacitors C1 and C3 are ised to flatten the voltage at the input and output of the regulator, C2 and c4 are used to filter any interference produced by the automotive electrical system. 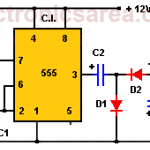 This circuit has the drawback of a base-emitter voltage drop (Vbe) of 0.6 or 0.7 volts, which causes the output voltage to be 4.3 or 4.4 volts. This voltage is different from the required 5 volts. For this reason a diode is conected to the GND (Ground) pin of the voltage regulator to compensate for this drop in voltage. A red LED is used to indicate that the regulator is active. R1 is the current limiting resistor.